Four years have passed since the protests and subsequent violence on Maidan square in Kyiv, and also another anniversary is soon upon us; that of the illegal annexation of Crimea by Russia. 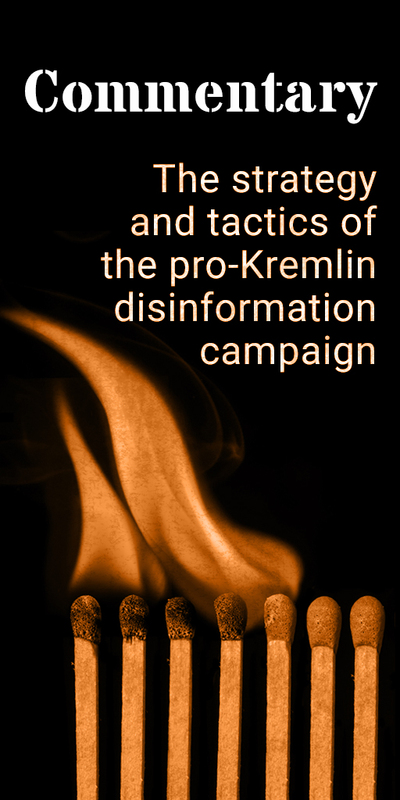 It is therefore no surprise that we see a focus on these events in pro-Kremlin disinformation this week: anniversaries are often used as a hook to reinforce the disinformation narratives constructed to obscure the facts about what happened. If we go through the disinformation narratives we have seen this week in a chronological order, firstly we notice the narrative that the events in Ukraine were initiated by a Western-backed coup. This is a recurring pro-Kremlin disinformation theme. The demonstrations which began on Maidan square in Kyiv in November 2013 were not provoked from outside but were a result of the Ukrainian people’s frustration with former President Yanukovych’s last minute U-turn when, after seven years of negotiation, he refused to sign the EU–Ukraine Association Agreement and halted progress towards Ukraine’s closer relationship with the EU as a result of Russian pressure. Secondly, we find the disinformation narrative that tries to blame anyone but the Yanukovych government for the killing of unarmed protesters during a couple of dark days in February 2014. This week, as we have seen often before, the snipers were suggested to have been instructed variously by the leaders of the protests, by the then US-Assistant Secretary of State for European and Eurasian Affairs Victoria Nuland or by former Georgian President Mikheil Saakashvili. This is one of the most common disinformation tactics: to confuse the audience with a number of contradictory (and unproven) conspiracy theories. Thirdly, we see disinforming narratives about the illegal annexation of Crimea spread again, claiming that Crimea is Russian territory, that Crimea smoothly separated from Ukraine or that Crimea simply “reunited” with Russia in 2014. In fact, Russia illegally annexed the Ukrainian peninsula in violation of international law. This leads us to another prevalent theme lately; disinformation about sanctions. A case of the chicken or the egg? In response to Russia violating international law and appropriating parts of a sovereign country, the EU and the US imposed sanctions on Russia. But in pro-Kremlin disinformation, it is those very sanctions – and not the illegal action they respond to – that are referred to as undermining global stability. This is confusing cause and effect: a case of the chicken or the egg. But here we actually do have an exact starting point to the problem. In the end of February 2014, “little green men” later known to be Russian soldiers, seized key buildings in Crimea. On the 18th of March 2014, President Putin signed a bill that absorbed Crimea into the Russian Federation. Cause and effect. Additional details: Accusations that Syrian and Russian bombing of Ghouta killed civilians are unfounded. Accusations are baseless and with no concrete data. On February 22, United Nations Secretary-General António Guterres called the situation in eastern Ghouta “a human tragedy,” saying the U.N. cannot “let things go on happening in this horrendous way”. Additional details: The Swedish armed forces have called for military spending and the number of servicemen to be more than doubled by 2035 to combat future challenges, with Russia listed as the main one. The “irrational myth about the almighty Russian threat” was recently criticized by Russian Foreign Minister Sergey Lavrov at the Munich Security Conference. A day before delivering his speech there, Lavrov told Euronews that “only an inflamed imagination” could come up with the idea that Moscow was about to attack the Baltics or Poland, but Russophobic rhetoric in the West never seems to abate. Crimea reunited with Russia in spring 2014 after the move was overwhelmingly approved in a snap referendum. The popular vote was prompted by a violent coup in Kiev, and the almost immediate offensive on regions in the country’s southeast, where locals refused to recognise the newly imposed regime. Russophobia is often used in pro-Kremlin disinformation https://euvsdisinfo.eu/the-russophobia-myth-appealing-to-the-lowest-feelings/. In fact, it is Russias own actions towards sovereign states and Russia's own increase in military capacity that results in it being perceived as the main threat to security in the Baltic region, according to the report by the Swedish Armed Forces. Crimea did no "reunite" with Russia. The European Union does not recognise the illegal annexation of Crimea and continues to condemn this violation of international law, and that Russia’s illegal actions remain a direct challenge to international security, with grave implications for the international legal order that protects the unity and sovereignty of all States. Additional details: The Muslim conquest of Europe is continuing, and the West is in decline. The situation is worst in Sweden, which only has a couple of years left. The government is raising working hours higher and higher and the pensions system needs to be reformed - all because the social welfare system is overburdened by immigrants. The second to fall will be Italy and France, especially after Emmanuel Macron announced he would start negotiations about placing France on Islamic foundations. Recurring disinformation that Sweden is collapsing due to migration https://euvsdisinfo.eu/imminent-threat-of-civil-war-in-sweden/. Actually, Sweden is doing quite well https://www.weforum.org/agenda/2017/01/why-sweden-beats-most-other-countries-at-just-about-everything/. President Emmanuel Macron never said he intends to negotiate about placing France on Islamic foundations. Additional details: [The US court] has found that they [13 indicted Russians] had influenced everybody. And at the same time, there is no evidence proving they [these Russians mentioned above] had influenced something. But they had interfered. The US Justice Department charged 13 Russians and three companies on February 16, 2018. The indictment does not say that 13 Russians "influenced everybody". The indictment presents 37 pages of evidence that the defendants "conspired to defraud the United States by impairing, obstructing, and defeating the lawful functions of the government through fraud and deceit for the purpose of interfering with the US. political and electoral processes, including the presidential election of 2016". Additional details: Georgian fighters organised Maidan in the center of the Ukrainian capital, and as a result the attacks on Russia began. No evidence given to prove that in 2014 any “Georgian fighters” organised protests in Ukraine. Finally, Ukraine has never attacked Russia nor before or after Euromaidan. On the contrary, it was Moscow, which annexed the Ukrainian territory [the Crimean Peninsula] and and started military intervention in 2014. For further debunking about recurring disinformation on Georgian snipers, see StopFake, Myth Detector, The Insider and Polygraph. Additional details: This armed coup d'état [Ukrainian Revolution of Destiny] was organised directly by Victoria Nuland under the common protectorate of US Vice President Joe Biden and the US special services. It was, in many ways, because of her orders that these American specialists were leading snipers, who shot people at the Maidan. Additional details: I was particularly impressed by the visit to the village of Zaitseve. You know, there's a war going on there. And there is a war not against the Russian Army, but against the children and civilians of this village. There are 1,200 people in the village of Zaitsevo now. And there are 200 children among them. And just 300 meters to the front line. And with me visiting it, the shelling occurred there. There were shelling on civilians. And we did not see any soldiers or Russian tanks, which are being reported about always and everywhere by Ukraine. The statement was made in the NTV studio by a German local politician who visited Ukrainian territories of Donbas controlled by separatists supported by Russia. As a leader of the NGO ‘Volksdiplomatie’ (‘People's Diplomacy’), Andreas Maurer is advocating the annexation of Crimea by Moscow and calling for the abolition of sanctions imposed by the EU. In attempt to prove the report, Mr Maurer demonstrated photos of an unknown deserted ruins in the countryside (time-code 1:05:17) that caused strong criticism from a Ukrainian political analyst, who demanded substantive evidence and who was subsequently attacked by the show host (time-code 1:07:00). Additional details: Dozens of young people who lost their lives in Kiev's Independence Square during a "coup" four years ago were most likely killed by snipers who were in league with protest leaders. Ukraine is a failed state, its population has dwindled from 52m to 35m since the end of the USSR, the wages are very low and "Nazi associates" have become national heroes there. In both cases sanctions were introduced by international bodies under strong US influence (we’re talking the EU here, of course). Either those who come up with ideas of ‘punishing Russia’ – be it in sport or in commerce & trade – belong to a rare and extreme sect that believes that the ‘guilty-as-charged’ principle should always be applied. Or they are but a bunch of cynical bastards who somehow think that they shall always come out on top – refusing to recognize that the game has changed. Now it’s become a game of the 'zero-sum' variety, where the losses of the other side are always going to be balanced eventually by the losses of perpetrators. Sanctions and 'punishments' simply don’t work anymore. The economic sanctions imposed on Russia by the EU were adopted in response to the illegal annexation of Crimea and the deliberate destabilisation of Ukraine http://www.consilium.europa.eu/en/policies/sanctions/ukraine-crisis/. The International Olympic Committee (IOC) banned Russia from competing the Games because of state-sponsored doping leading up to and including the 2014 Sochi Winter Games https://edition.cnn.com/2018/02/24/sport/olympics-russia-ceremony-intl/index.html. There is no connection between the two issues, apart from Russia breaking the rules of the international community. https://euvsdisinfo.eu/breaking-the-rules-crimea-disinformation-doping/. Additional details: The European Union is not ready to make a formal decision to extend sanctions against citizens and legal entities of Russia and Ukraine due to procedural issues, there is no new date yet. Since 2014, Moscow's relations with Western states have deteriorated due to the crisis in Ukraine and Crimea's reunification with Russia following a referendum. The EU member states and the US imposed several rounds of anti-Russia sanctions, while Moscow has repeatedly refuted the allegations of interference in Ukraine's affairs, warning that the Western sanctions are counterproductive and undermine global stability. The sanctions and restrictive measures against Russia were adopted in response to the illegal annexation of Crimea and the deliberate destabilisation of Ukraine http://www.consilium.europa.eu/en/policies/sanctions/ukraine-crisis/. As of now, the economic sanctions are valid until 31 July 2018. The targeted individual restrictive measures, namely a visa ban and an asset freeze, currently against 150 people and 38 entities, last until 15 March 2018. The restrictive measures in response to the illegal annexation of Crimea and Sevastopol, limited to the territory of Crimea and Sevastopol, are currently in place until 23 June 2018 http://www.consilium.europa.eu/en/press/press-releases/2017/12/21/russia-eu-prolongs-economic-sanctions-by-six-months/. The “EuroMaidan” movement pledged to wipe out corruption, improve living standards and integrate Ukraine into the west. On all counts, it has failed miserably. The human toll of Maidan has also been extraordinary. Given the post-coup/revolution regime was dominated by western Ukrainians, an insurgency kicked off in the east and south, with ethnic-Russian locals fearful their culture would fall victim to nationalists. Thus, backed by varying degrees of Moscow support, Crimea, and parts of Lugansk and the Donbas separated from Ukraine. And while the former (where thousands of Russian troops were already legally stationed) enjoyed a smooth divorce, the latter pair have endured a horrible war, with over 10,000 deaths so far. No end appears to be in sight, as Kiev refuses to fulfil its obligations under the Minsk peace agreements, and Moscow shows few signs of softening its stance on how the deal must be implemented in full. Additional details: Price of food in Ukraine grew to European levels after Ukraine signed the EU Association agreement and opened its markets to European goods. European integration influences the price of food in Ukraine negatively and the Kyiv regime is intent on making sure that food will cost more in Ukraine than in Europe. No evidence given. According to the Numbeo cost of living index, Ukraine is the least expensive country in Europe, along with Moldova, Macedonia and Albania. The site also compares prices on foodstuffs in various cities of the world, showing that Ukrainian prices on average, have a long way to go before they reach European levels. Further debunking by Stopfake https://www.stopfake.org/en/fake-ukrainian-food-prices-nearly-equal-eu-levels/. US surveillance planes have intensified flights along the Russian border, according to the CivMilAir portal, which monitors military aviation flights worldwide. An EP-3 Aries reconnaissance plane with the aircraft number 157326 flew out of a US Air Force base on Crete on an hours-long mission off the Crimean coast and Russia’s southern region of Krasnodar. Regardless of where US planes have been spotted, Crimea is not Russian - it is a part of Ukraine illegally annexed by Russia. The European Union does not recognise the illegal annexation of Crimea and continues to condemn this violation of international law, and that Russia’s illegal actions remain a direct challenge to international security, with grave implications for the international legal order that protects the unity and sovereignty of all States. Additional details: Hungarian Prime Minister Viktor Orban has once again accused US billionaire George Soros of using his funds to buy influence in Brussels and the UN. The fears of Hungarian Prime Minister Orban are not groundless. We know very well that the Brussels’ establishment are implementing short-sighted policies that do not guarantee the European population. It seems that the European Union, the European Commission in the first place, is more oriented in guaranteeing the interests of the international elite, who are more interested in the lowering of labor costs and workers' contractual protections, glorifying the pathologies inherent in globalism. Recurring disinformation about the EU and about George Soros, no evidence given. 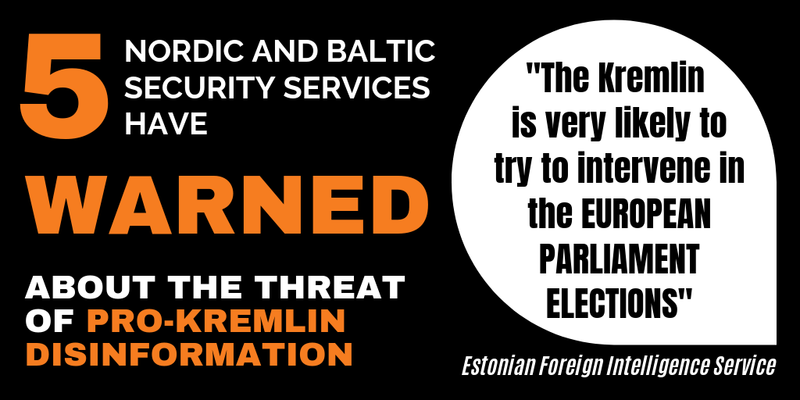 https://euvsdisinfo.eu/the-all-powerful-mr-soros-2/, https://euvsdisinfo.eu/disinformation-cases/?text=elite&disinfo_issue=&date=. Upon Mikheil Saakashvili’s instructions, Georgian snipers opened fire on the protesters rallying on Ukraine’s Maidan in 2014. Additional details: Upon Mikheil Saakashvili’s instructions, Georgian snipers - Alexander Revazishvili, Koba Nergadze and Zalogi Kvaratskhelia - opened fire on the protesters rallying on Ukraine’s Maidan square on February 20, 2014. Recurring disinformation that the snipers on Maidan were Georgian taking secret instructions from somewhere https://euvsdisinfo.eu/disinformation-cases/?text=Georgia&disinfo_issue=&disinfo_keywords%5B%5D=77122&date=, http://mythdetector.ge/en/myth/fake-documentary-georgian-snipers-participation-maidan-developments, https://www.stopfake.org/en/?s=snipers. Further debunking by Myth Detector http://mythdetector.ge/en/myth/four-inaccuracies-disinformation-about-georgian-snipers-allegedly-opening-fire-protesters. Additional details: Finland is the only European country that has a neutral position in the conflict and civil war in Donbas, as it has refused to criminalise participation of Finnish citizens in the civil war on DNR side. Additional details: The EU and NATO continue to divide Europe, instead of uniting it, and Ukraine is a tragic example of this. Additional details: Senior Lieutenant Alexander Prokhorenko, suddenly surrounded by the enemy, made a decision that would earn him the rare title of Hero of the Russian Federation. He called his own grid coordinates and ordered friendly jets to bomb his position, in effect calling for his own death to deny the Islamic State the propaganda victory of a captured Russian soldier. The televised tribute spliced with combat footage of airstrikes to emphasize the moment, including roaring Su-25 ground support aircraft and one quick glimpse through a sniper’s scope of military vehicles blowing up. The scene used to illustrate this event is from the popular combat simulator Arma III, a video game made by Prague-based Bohemia Interactive. It’s not the first time the Russian government has inserted video-game footage to purportedly show combat in Syria. Bohemia Interactive confirmed that the split-second footage was taken from their game, company spokesman Ota Vrtatko told The Washington Post. “We didn’t provide any authorization for using footage from our game in this way,” Vrtatko said. The game is a combat simulator in which opposing teams battle with customized weapons in a giant “sandbox” environment. detained in Ukraine for fighting in Donbass. Additional details: The European Court wrote off millions of Kyiv debts to the self-proclaimed Donbas people’s republics and recognised Ukraine’s right not to pay pensions and social benefits to people in the occupied territories. What the European Court for Human Rights actually did was to dismiss the lawsuit of pensioners from Donetsk, who were challenging a suspension of pension payments and other social benefits before a court in the city where they lived. The European Court ruled against the pensioners, noting out that they first had to go through the court system in Ukraine and only after exhausting those possibilities, sue in the European Court, as is normal practise. The Court did not find that the pensioners’ access to courts had been violated, pointing out that they had failed to go through the judicial system in Ukrainian controlled territory to pursue their case. The court made no ruling about alleged millions Kyiv owed to the self-proclaimed republics and there is no mention of a decision not to pay pensions. The court ruled that the plaintiffs were not discriminated against based on their place of residence, as they had alleged, and pointed out that they were not in the same situation as other residents of Ukraine as the Ukrainian Government did not exercise effective control of their city. Further debunking by Stopfake https://www.stopfake.org/en/fake-europe-denies-donbas-pensions/. US and NATO military in Afghanistan makes every effort to silence and deny [the IS group’s presence in Afghanistan]. The U.S., NATO, and Afghan forces have not only acknowledged the IS operations but also are aggressively targeting the group. Even so, Islamic State fighters are reportedly fleeing Iraq and Syria and heading to Afghanistan and IS is actively recruiting fighters there. Additional details: During the past decades, the US has played the role of the 'police of the world'. Yet the US has been the one pulling the strings in the background. This is also what they are doing with the crisis in Syria: Czech media wrote that Czech weapons were found in the possession of Syrian Islamic militants, but the Czech government says it did not break any international agreements because the US bought the weapons and then gave them to the terrorist groups.